We now have the capability to counter this threat with high-energy laser and high-power microwave systems known as directed-energy weapons. This once-futuristic technology has been tested and proven in laboratories. Directed-energy weapons reach targets at the speed of light, have much larger magazines, cost less per shot and track targets with precision far beyond traditional kinetic weapons. These attributes make directed energy capable of combating a variety of evolving threats. 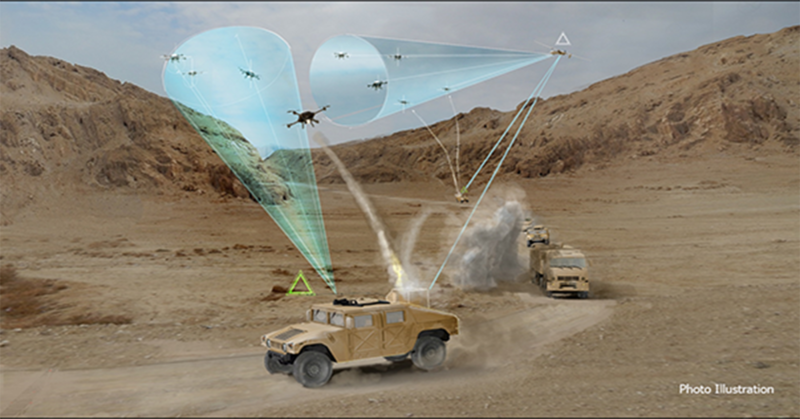 Real-life scenarios such as this one demonstrate that kinetic weapons are becoming increasingly ineffective and too costly to combat the growing number and lethality of threats to U.S. war fighters. This reality, coupled with the rapidly increasing maturity of directed energy, underscores that the time has come for the U.S. to transition the technology from its success in a laboratory environment to field testing it in combat scenarios. Here are three reasons why. 1. Evolving threats require new defenses. Our adversaries are rapidly enhancing their offensive capabilities with new technologies such as hypersonic missiles, which can fly at more than five times the speed of sound and threaten the United States’ ability to project military and economic power around the world. As a complement to kinetic weapons, directed-energy weapons are uniquely capable of countering hypersonic threats and improving boost-phase ballistic missile defense. Beyond hypersonics, threats are evolving in quantity (such as swarms of UAVs or small boats known as fast inshore attack craft) and lethality (such as highly maneuverable cruise missiles and intercontinental ballistic missiles). To combat new threats, the U.S. must quickly field test and deploy directed-energy weapons to ensure we remain the dominant military force around the world. U.S. Army troops in Europe successfully defeated drone threats using a laser weapon on a Stryker over the weekend, but ranges are presenting certain limitations, according to a strategic programs chief with U.S. Army Europe. 2. Policymakers support directed energy. In years past, Congress and policymakers did not support the development of directed energy as a war-fighting tool, but that has changed. Speaking at the 2018 Directed Energy Summit, Under Secretary of Defense for Research and Engineering Dr. Michael Griffin noted there is a “lean-forward posture now” on Capitol Hill. Congressional leaders have increased funding for directed energy over the past three years and have designated a senior Department of Defense official tasked with accelerating the transition of these systems from the lab to the battlefield. That “lean-forward posture” was evident at this year’s Directed Energy Summit. At this event, a bipartisan group of members of Congress joined more than 700 leaders representing the U.S. armed forces and the defense industry to explore and outline the path to bringing directed-energy weapons into operational use. As momentum builds, there is greater advocacy on Capitol Hill — not only for increasing funding, but for ensuring that the DoD has the right structure in place to manage funding and innovate. 3. The Pentagon supports directed energy, too. The growing advocacy for directed energy extends from the Hill to the Pentagon. Responding to emerging threats, the U.S. National Security Strategy and National Defense Strategy underscore the importance of a technological advantage. An expanded role for directed-energy weapons will be a key part of answering the National Defense Strategy’s call for maintaining military overmatch, enhancing missile defense, and sustaining our competence in irregular warfare and low-intensity conflict. The Pentagon can’t develop technology quickly enough to thwart enemies. Here’s one way to help. One important way to speed up the acquisition process and attract companies from the private sector is to step up what is known as other transaction authority. As technology has matured, leaders from the DoD, Congress and industry generally agree that directed energy has become technologically credible and operationally usable. The military has driven progress through the traditional DoD acquisition process and worked with government laboratories and industry to field operational prototypes, conduct live-fire exercises and hold detailed simulation exercises to understand the operational impacts of mature directed-energy technology. We’re fighting tomorrow’s wars today in our labs and on our test sites, but we cannot develop military technologies without allowing our war fighters to test them. It’s critical that the DoD accelerates its acquisition approaches so we can more quickly educate our war fighters on directed energy and make more prototypes available for testing. Testing will allow us to gather data from the field, inform system integration efforts with actual war-fighter experience, deliver near-term utility and produce the war-fighter confidence needed for more widespread adoption of this technology. While directed-energy weapons are not the answer to all of our challenges, they will become essential to countering real and urgent threats from our adversaries across all domains. The time is now for directed energy to make the leap from successful demonstrations to equipping the women and men conducting the daily mission of defending our freedom. Our national security depends on it. Henry “Trey” Obering III is a Booz Allen Hamilton executive vice president based in McLean, Virginia. He retired from the U.S. Air Force as a lieutenant general with more than 35 years of experience in space and defense systems development, integration and operations.